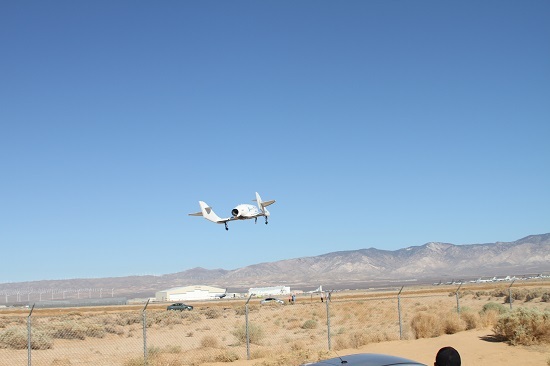 Following two supersonic flights through the heart of the potential flutter zone, Scaled Composites’ test pilots, evaluating Virgin Galactic’s SpaceShipTwo (SS2), report the vehicle is rugged and stable, without any of the transonic issues that could have bedeviled the design. While the subsonic build-up test flights unearthed some unexpected results before the start of powered flights in April, aerodynamic modifications have proved effective during the vehicle’s early supersonic flights under rocket power. The findings have built confidence in achieving the next major milestone for the program, a supersonic reentry using SS2’s unique tail-plane feathering braking system. The test, if successful, will open the way for longer-duration rocket burns, which will culminate with a maximum apogee demonstration flight to around 360,000 ft. On completion of this milestone, Scaled Composites will turn the vehicle over to Virgin Galactic, which plans to begin commercial suborbital services from the Spaceport America site, located in the Jornada del Muerto desert basin in New Mexico, in 2014. The two-crew SS2 is designed to carry six passengers or a science payload. The last I heard, another powered flight is scheduled for later this month. That schedule might have changed in the meantime.